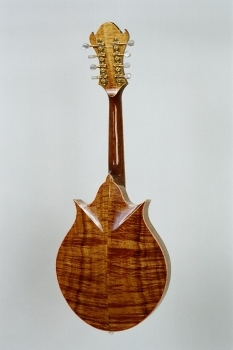 The unique design of our mandolins has evolved from our efforts to combine the look and sounds of the older European with the power of the newer American instruments. 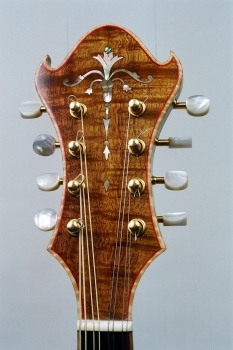 We use wood bindings and unkerfed linings, along with "tone bar" bracing. 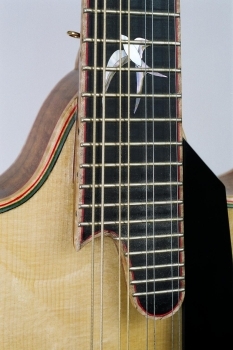 We use Adirondack Spruce for the face and internal braces, and though Maple is the traditional wood for the back and sides, we will occasionally use Koa, Walnut or Brazilian Rosewood if a customer so desires. 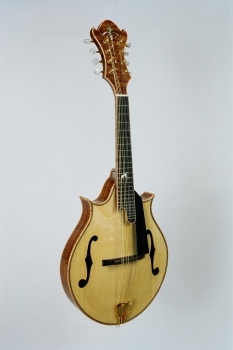 Base price for Maple back and side is $6,500. Other woods available.